Little, Brown and Company, 9780316407069, 368pp. 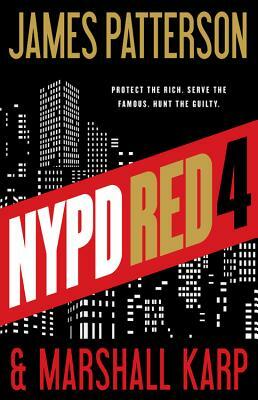 New York's most elite police force chases a ruthless murderer with an uncontrollable lust for money and blood. It's another glamorous night in the heart of Manhattan: at a glitzy movie premiere, a gorgeous starlet dripping in millions of dollars' worth of jewelry makes her way past a horde of fans and paparazzi. But then there's a sudden loud noise, an even louder scream, and a vicious crime with millions of witnesses and no suspect. From celebrity penthouses to the depths of Manhattan's criminal underworld, Zach and Kylie are soon in hot pursuit of a cold-blooded killer with everything to lose, and millions to gain if he can just shake the detectives on his trail. With the city on edge, the mayor out of patience, and the flames of their personal relationship threatening to reignite and ruin everything, Zach and Kylie are facing down their worst fears-and their most dangerous enemy yet.